What is the importance of solar energy? How important will solar energy be in the future? It can solve huge amounts of our energy needs, but how much? Use of the sun’s rays as an energy source has been evident since time began and is essential for all living things. In addition to the sun’s rays being an ever present resource for day-to-day living, electricity and heat are also types of energy which can be generated from solar energy. The advantages of using solar energy as a carbon-neutral source of energy are that it is a free and unlimited resource. Solar generated power is completely natural, offering a clean source of energy which doesn’t have a negative impact of the environment. It doesn’t disrupt the atmosphere or create a potential threat to the ecosystems as seen with oil and similar other energy sources. Solar energy utilizes the sun’s energy without a need to generate pollution or similar by-products which can result in greenhouse gas emissions, water or air pollution. In order to harness the full potential of the sun’s energy and convert it into usable electricity, it is necessary to have photovoltaic (PV) devices to collect and transform the gathered solar energy. Solar cells are most commonly seen as the solar panels mounted on rooftops of private or commercial properties and are aligned to capture as much of the sun’s rays as possible. 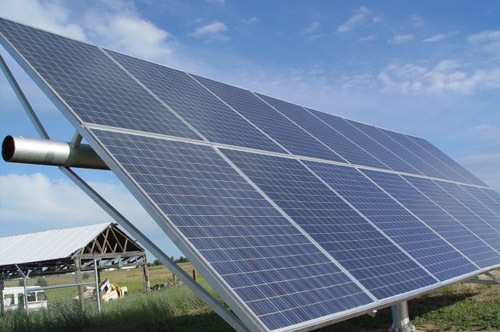 Solar energy is highly versatile and appropriate for a wide-range of functions. Solar energy cells are able to produce sufficient power for everyday items, such as watches or calculators, while a much more expansive array of solar panels has the potential to run an entire town. Solar energy technologies are used in such situations as – electricity for businesses and homes, water heaters, cars and utility vehicles, thermal heaters, and water treatment plants. Energy from the sun is abundant and comes to us free every day. And that is the greatest thing about a renewable energy source of this nature – its availability is endless, and there for us to take full advantage of. With fossil fuels, such as gas and oil, expected to be depleted in the not too distant future, it is becoming more and more apparent that making full use of renewable energy sources, such as the solar panels and wind turbines, is now more imperative than ever. Once the fossil fuels are gone they cannot be replaced. However, these fuel-types do create massive pollution, so they sooner a clean source of energy is used the better. Pollution from the fossil fuels not only affects the air we breathe, buy also the waterways and the naturally grown food (fruits and vegetables) we eat. Another negative aspect to the fossil fuels is that they are quite difficult and expensive to retrieve from their natural position in the earth. In comparison, some of the environmentally-friendly energy sources are considerably less expensive to produce. Due to these reasons, the solar energy systems are more sought after than ever. In the near future, solar technology might well be one of the primary forms of power for our day-to-day needs. This can than lead to a much cleaner environment, with a typical household spending a lot less on utility bills and associated costs. Solar energy systems have the potential to let nature and the latest technologies co-exist in compete harmony. How much Solar Energy does the Sun Produce?